Happy Friday, and Happy New Year! I am, of course, referring to Chinese New Year, for which celebrations start today. The Chinese Zodiac is comprised of a twelve-year cycle of animal signs, with each New Year relating to a new animal. Each sign supposedly carries significant meaning for both the twelve months ahead, and those born in that year. The end of January sees us entering the Year of the Horse, and with this event comes good news, as the energetic and communicative ‘spirit’ of the horse sign can only mean good things for the world of PR! Apparently, the Year of the Horse is great for communications, and those born in the year will be particularly witty, as well as excellent communicators. Great news! 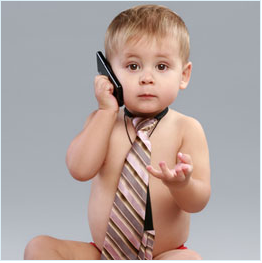 This means thousands of babies destined for PR jobs will enter the world this year. Be sure to send JAM your CVs in twenty odd years, guys! 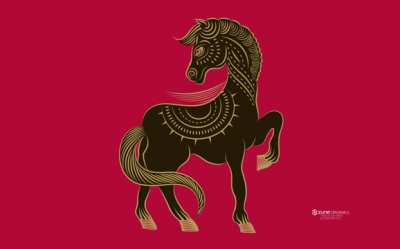 The horse sign also stands for leadership, energy, prosperity and positivity, and the next twelve months are said to bring about particularly good luck. So, there’s a lot to celebrate about! And festivities for this event are big news indeed, as Manchester gears up for a weekend full of revelry – the North’s biggest Chinese New Year celebrations, in fact. Head down to the Chinese food market in St. Ann’s Square to sample an array of delicious treats from Chinatown’s restaurants, and enjoy a drink or two at the pop-up Tiger beer bar. 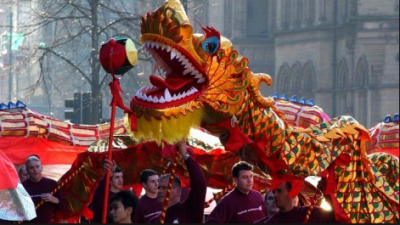 The main event comes in the form of the Dragon Parade – on Sunday a 175 ft long dragon will lead the parade from Albert Square to Chinatown, ending with a huge fireworks finale. Last year, the spectacle drew in a huge crowd of around 75,000. See here here for a full run down of the weekend’s events. Xin Nian Kuai Le (Happy New Year), and we’ll see you in the Year of the Horse! Things, as D:Ream once sang, can only get better. This week began with Blue Monday (20th January), allegedly the most depressing day of the year, but actually the canny creation of PR minds looking to promote a travel company. And if Blue Monday really is the worst day of the day of the year, the good news is that it’s already over. Whilst January remains a cold, dark and largely penniless month, there’s no reason to be down, because there’s loads to look forward to in 2014. We know what you’re thinking – there’s NOTHING to look forward to. You couldn’t. Be. More. Wrong. If you’re not in the mood for Valentine’s Day next month, it’s the Brits a few days later, and no matter what you think of the music, someone (our money’s on Katy Perry this year) will give a performance that makes your jaw hit the floor – whether it’s for good reasons or for bad. After that it’s not long until Easter, and here at JAM we’re already in preparation for the event, if the number of Crème Eggs consumed in the last few days is anything to go by. By that time, the nights will be getting lighter, the weather will be getting warmer (hopefully), you’ll have shed your winter coat and will be looking forward to the summer holidays. Even if the skies are grey it won’t stop the crowds getting into the mood for Glastonbury in June, or us from celebrating National Feel Good Day for our client, Transform, in July. If it’s entertainment you’re after, Miley Cyrus will be riding her Wrecking Ball into the UK, and Robbie Williams will be marking his 40th birthday with a nationwide tour. Still holding out for a hero? The big screen is packed with them in 2014 – with Robocop, Captain America, Spiderman and the X-Men all putting in an appearance. Well, there you go, I bet you’re exhausted. And all that lot only takes you as far as August. And I haven’t even mentioned the forthcoming and no doubt spectacularly bonkers nuptials of Kanye West and Kim Kardashian yet. Watch this space. It’s going to be a great 2014. And in the words of Karen Carpenter, “We’ve only just begun…”. Stuntvertising at its best.. or worst. You decide. We’re only 17 days into the New Year and there’s already plenty of talk around the numerous publicity stunts hitting us from around the globe. Scary… yes. Entertaining… sometimes. Good/ bad… you decide. People proud of their legs took to riding trains ‘pant-less’ on Sunday 12th January. The annual event, started back in 2002 in New York with just seven people involved, has since caught on around the world and encourages the brave and the outright fearless, to take to riding the underground half-dressed. Indeed, it began as a small prank by Improve Everywhere, and the idea is such that people board a train/ subway and act like they don’t know each other, and wear winter gear (gloves, scarf, coat, hat etc) minus a pair of pants. It has grown from that small gang of seven guys to now taking place in 60 cities in over 25 countries. A remote-controlled ‘devil baby’ frightened members of the public in New York this week, as a means to promote the new film, Devil’s Due. Passers-by were enticed by the sound of crying coming from a deserted pram, after which the evil looking baby then drove round in its pram, coughing up sick and giving poor pedestrians mini heart attacks and gesturing rudely at police officers. Yes, alas, he leaked his very own naked photo. And shock, horror, it ended up pushing his even more shocking new song, to number one in the charts. Oh the desire to be ‘famous’. As you can imagine, t’is my least favourite ‘stunt’. So, if anything, these visually disturbing but highly entertaining stunts (Dappy’s not-so-much on the entertaining side) highlight the power of spreadability, word of mouth (WOM), and outright bravery. My favourite? The Devil Baby. Will I go and see Devil’s Due? Maybe. And that’s down to the sheer brilliance of the prank and the very fact that it’s scared the living daylights out of everyone. Terrifyingly priceless. 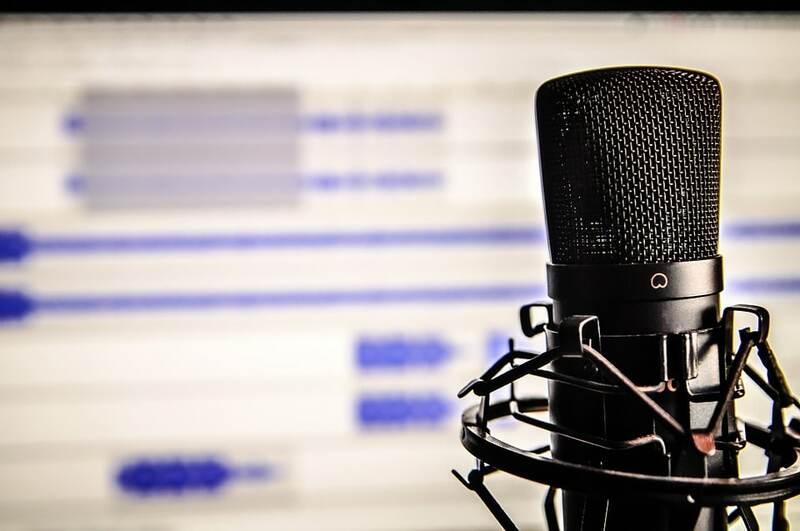 If stunts are successful, they have real power to affect how a person views a brand and can be that persuading factor in whether or not you go to see that film for instance. Copious amounts of media coverage result and a brand’s profile can sky rocket. However, driving awareness through the use of stunts is not always successful and it’s this delicate balance that we must always, always be aware of. Dressed in tactical gear and clutching plastic guns, a handful of actors fake stormed a theatre in Missouri, which was screening Iron Man 3 back in May 2013. The result? Numerous calls to the police and a distraught Army vet voiced that the gunmen had triggered his PTSD. Considering the horrific shooting in 2012 during a showing of the Dark Knight Rises, this was one of the worst ideas to come to fruition where stunts are concerned. 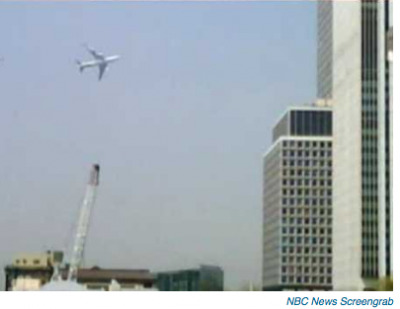 In 2009, Manhattan workers were distressed by the American government staging a photo-opp around the very same area of the financial district that was hit in 9/11. We are yet to find out the exact reason for this activity. What a bad, bad idea this was. With all the above in mind, I’d absolutely refute the notion that ‘there’s no such thing as bad publicity’. Have a quick Google search and you’ll find that there is no end of ‘PR stunts gone wrong’. Timing and messaging are both crucial to any stunt, as is not emotionally scarring the very people you’re trying to enlist. It’s a brand spanking New Year, and here at JAM Towers we couldn’t help but notice that the media has been awash with diet news to help you get the body of your dreams for 2014. Not only that, but it appears that sugar has become Enemy No.1 according to press reports. From damaging levels of sugar in our favourite everyday snacks (The Guardian), to advice for swapping out your foods for healthy alternatives (Change 4 Life), it seems we’re being actively encouraged to make a change for the better when it comes to our body this year. And it couldn’t come sooner. According to a report on the State of the Nation’s Waistline from the National Obesity Forum, half the British population will be obese by 2050, confirming that the country is well and truly in the grip of an obesity epidemic. Apparently the key to the perfect physique is taking a lesson from our cavemen ancestors, by cutting out sugar, processed meats and simple carbs. Yet, The Huffington Post has reported that teeth from 52 skeletons dating back between 13,700 and 15,000 years showed tooth decay in hunter-gatherers, which proves that a diet rich in foraged seeds and nuts had an adverse effect on teeth. Something to bear in mind if you’re looking to this for dieting salvation. Eat 500 calories for two days of the week, and whatever you fancy for the other five. Fasting was all the rage towards the end of 2013. Now there’s a Chicago-based scientist who reckons that the 4:3 method of fasting can be just as effective. Research also shows that those who eat what they like (including all the foods they love) during off days see better results than those who avoid high fat foods, due to increased satiation. Not bad! The book making headlines at the moment is The Sugar Detox by Brooke Alpert and Patricia Farris. Apparently the best route to looking younger and losing weight is going cold turkey and cutting out the sweet stuff. Full stop. One for those with awesome willpower. Keep your portions in control with these simple tips. Having pasta? Make sure the portion is no bigger than your fist. Serving up cheese? Two fingers worth should do the trick. The Mail Online says we all need to be more mindful about our portion control – something which can be tricky when there’s cookies floating around the office! And if all this talk of dieting is giving you a headache, just bear the advice of this doctor in mind.